This is the second article of our three part series looking at the best places to buy a sample, consignment or used wedding dress across the state of Texas. This time we are focusing on the top five places to buy a discounted wedding dress in the Dallas/Fort Worth area. Impressively enough, most of shops featured in this article boast a great online presence. Hopefully, this article will help our Dallas/Fort Worth brides find wedding dress gems at amazing prices and with great style. And if there are any notable omissions or errors, please let us know in the comments (for those looking for a discounted wedding dress in San Antonio or Austin or the greater Houston area, check out the linked articles). A well-reviewed bridal consignment shop, Anonymously Yours has over 500 dresses at their location. The website allows you to browse a good portion of their wedding dress inventory. Bridal viewing is by appointment, but it is not required. 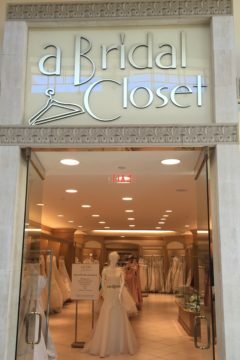 The Bridal Closet Outlet sells sample dresses--dresses that have been tried on but not worn outside of the shop. Their Facebook page carries promotions, but visit their website, where you can browse their inventory and actually shop online. Sunday's Bridal Boutique is a dress shop that sells discounted new and sample gowns. Dresses can be tried on by appointment, but they allow for browsing in person. Their inventory is online so you can check out the gowns, as well as the status (new, sample, etc.). They have a Pinterest profile and Facebook page which carries promotions and selected new arrivals. 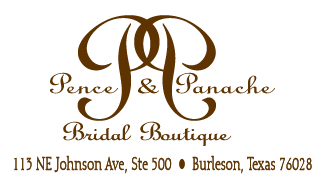 Pence & Panache Bridal, a dress shop located south of Fort Worth, allows brides to browse store samples and discontinued styles online. 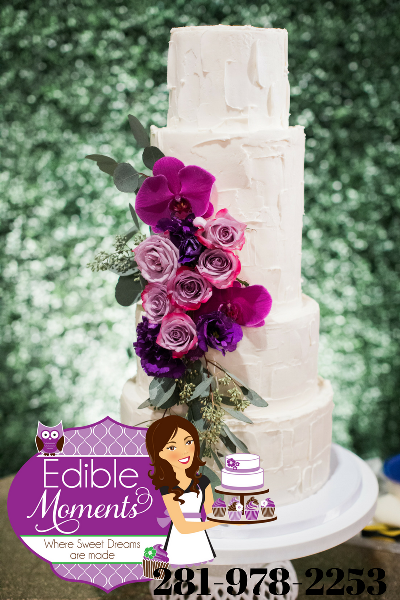 The Facebook page for the store gets updated daily and normally has promotional material, like wedding stories and bridal fairs. Finally, Binzario Couture is an extremely well-reviewed custom wedding dress shop that offers a selection of sample dresses. Their Facebook page is pretty active, but it mostly features promotions of their custom gowns.